Thank you for joining AirRentalz. This new venture will yield both social capital and financial capital…without necessarily requiring any investments on your end. There are a number of ways to optimize these benefits that await, and the first road to AirRentalz success is publishing your first listing (and a great listing, at that). Shaping your listing right is important for more reasons than optimizing return. For one, it’s crucial that you are as precise as possible in describing your place. If there is an error this could lose you a booking and waste your time. So be diligent with and mindful of how you configure your listing because a small erroneous detail could have a big impact on your potential guests’ decision. With that, we present you with this step-by-step guide to taking you through the process of perfecting your first listing from its very inception. There’s no reason to get overwhelmed: the work you need to put into creating your listing is the only work necessary. Once the listing is completed and published, you can hand us the keys to drive your AirRentalz listing towards more bookings, with hands-off account management. With every booking personal contact details are requested. This ensures we can contact you in the event of a problem with your account or a question from a guest. Your email remains confidential. The next step is to list the details of the property. Location: List Country, State, and City. 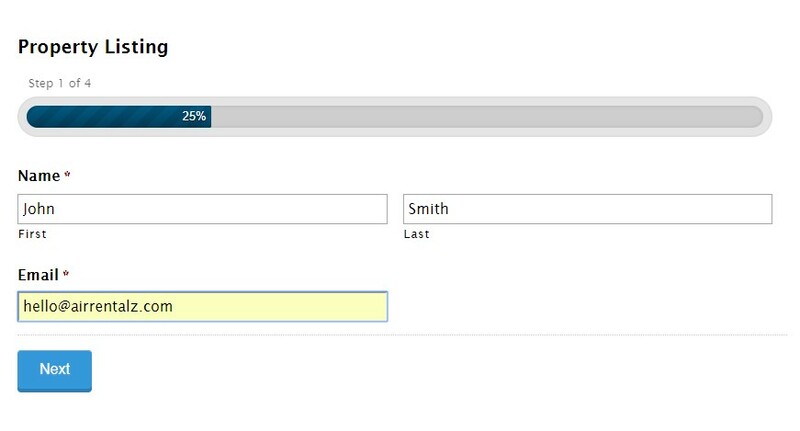 This allows users to filter their search. Room Type: This distinction is one of the most important ones, as both you and your guests may be most particular about maintaining a certain level of privacy. So, make sure that you’re accurately building your listing as to attract the most apt guests for your property. Before choosing “Entire home/apt,” consider the fact that granting guests exclusive access to your place might include access to other amenities on the property, such as a pool house or a garage. Similarly, the “Private room” option includes more home sharing than you might typically expect, such as that of your living rooms, bathrooms, and kitchens (in addition to the private bedroom that the guest reserves). 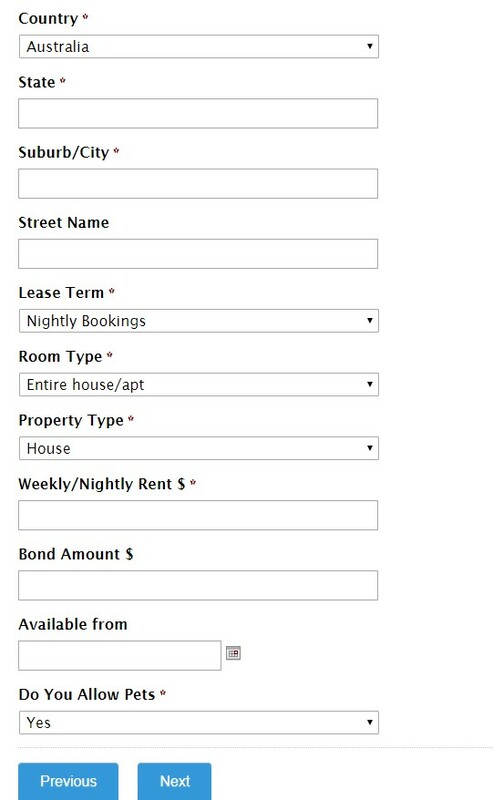 Rent & Bond: Include the nightly rate. You may charge per person per night or you may charge a flat fee per night irrespective of how many people stay. Please ensure you are clear. A bond may be requested if you wish. Again this can all be agreed with your guests when you make contact with them. Available from: You may want to defer when you start renting or swapping your property from when you list. If this is the case please include a start date so we can flag our system to start sending you enquires. Pets: Let people know if they are welcome or not. Provide more information about the property. 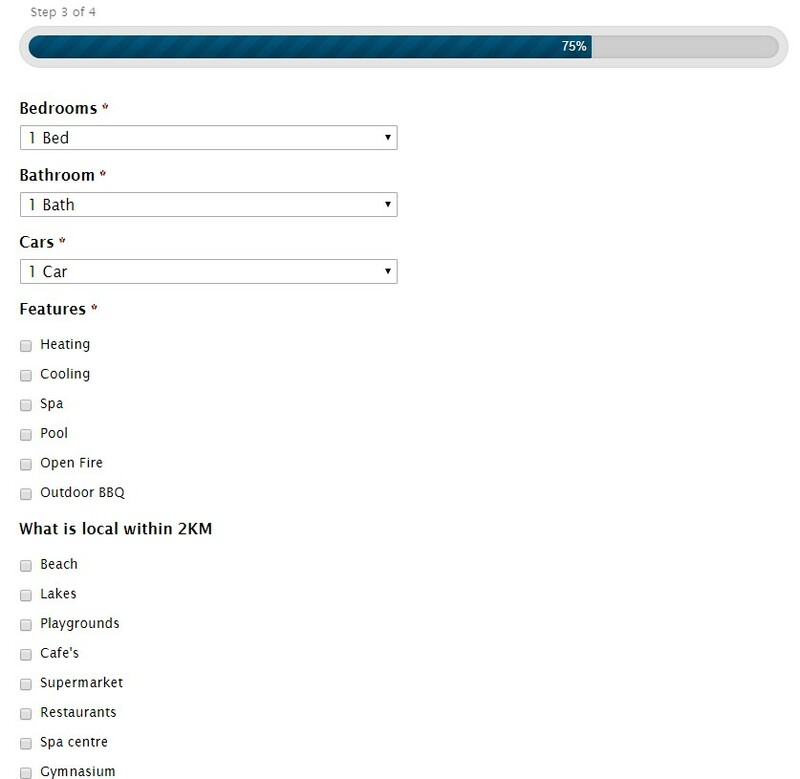 Bed/Bath/Cars: List the number of bedrooms and bathrooms plus car parking. You can provide further detail in the description section. Features: List them here via a checkbox. Remember, the more information you provide the better people will understand about your property. 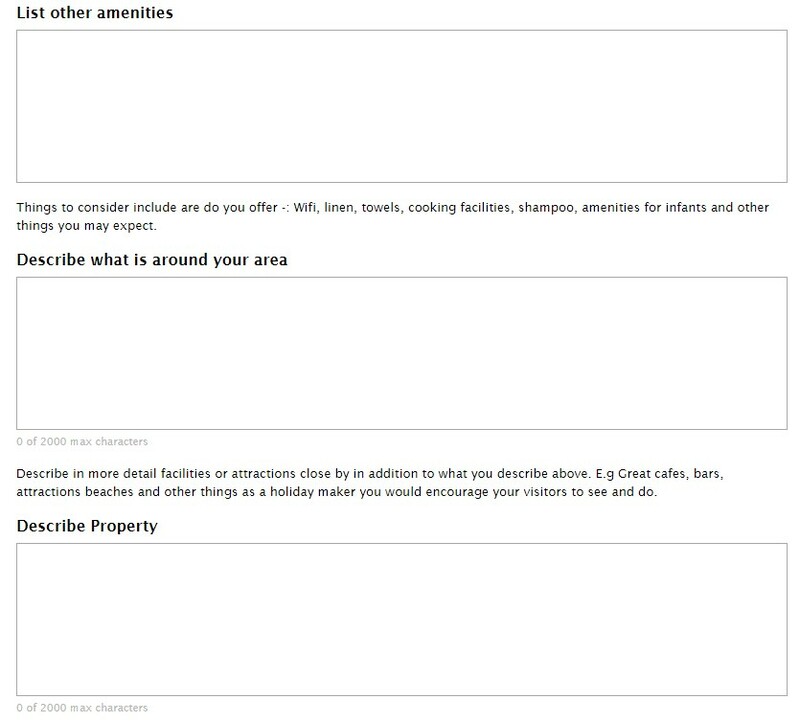 What is local: We also allow you to list more details about your property and what is around. All the above can be expanded upon within your description. Amenities: Include what you offer. This includes linen, towels, cooking, washing, and other facilities. Others include Wifi, security, and other items. We will include these in your property profile. Describe what's around your area: Include details about what is close by, e.g. cafes, shops, entertainment, and transport. Again, you have the option to include almost what you want. Description Property: This is where you can really market your property. A free text area you are not limited to what you include, however too long you will lose people half way and too short will not tempt them. They say pictures are worth a thousand words. Take the time to really show off your place. We provide you the opportunity to add up to a dozen photos. This should cover most of your rooms. Maybe consider having a professional photographer do a photo shoot for you. A one-time investment can make the difference to the frequency your property is rented. If you need assistance with photographers, check out our listings of photographers to get started. As a peer to peer community platform your guests or renters want to know more about you. By sharing your interests and other things about you and your family you are building a connection with your future guests which is what helps improve the overall experience for everyone. In addition to being able to rent your property, you can also swap time at your place for time at another person's place. You have the option to do both, rent and swap. Swapping time is a great way to save on accommodation costs. 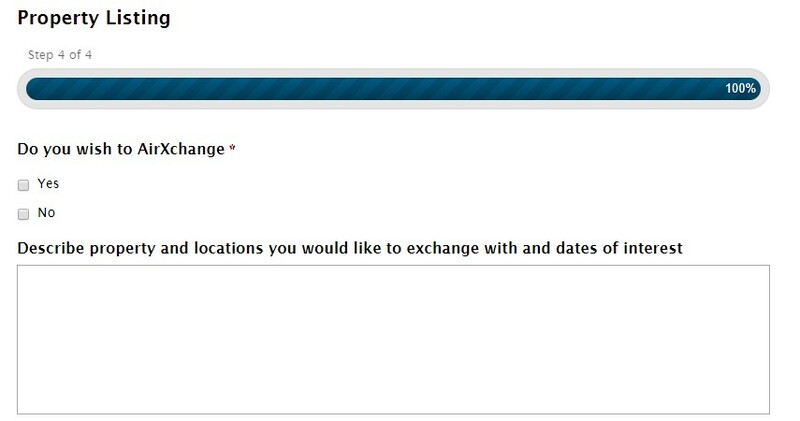 Check out the different options available to AirXchange here.